The Baby Project: Share Your Story, NPR – NPR is looking for expectant mothers to be part of a special project where they document that final month leading to delivery. If your due date is mid-July and you’d like to be considered for the project, please fill out the form on their website. Hopefully they will include some home birthing, breastfeeding mamas too! Hitting the Bottle, NY Times – Manufacturers might be removing BPA, a chemical used to harden certain plastics, from their products. But they are substituting chemicals that may be just as dangerous. Vt. insurers must cover home births, Boston Globe – Can we say jealous? Without His Mother’s Milk, a Haitian Boy Is Lost, NY Times – A widespread belief that some women have “bad milk” — “lèt gate,” in Creole — often leads to tragic consequences. So, so sad. In case you hadn’t heard, today is the day of judgment. 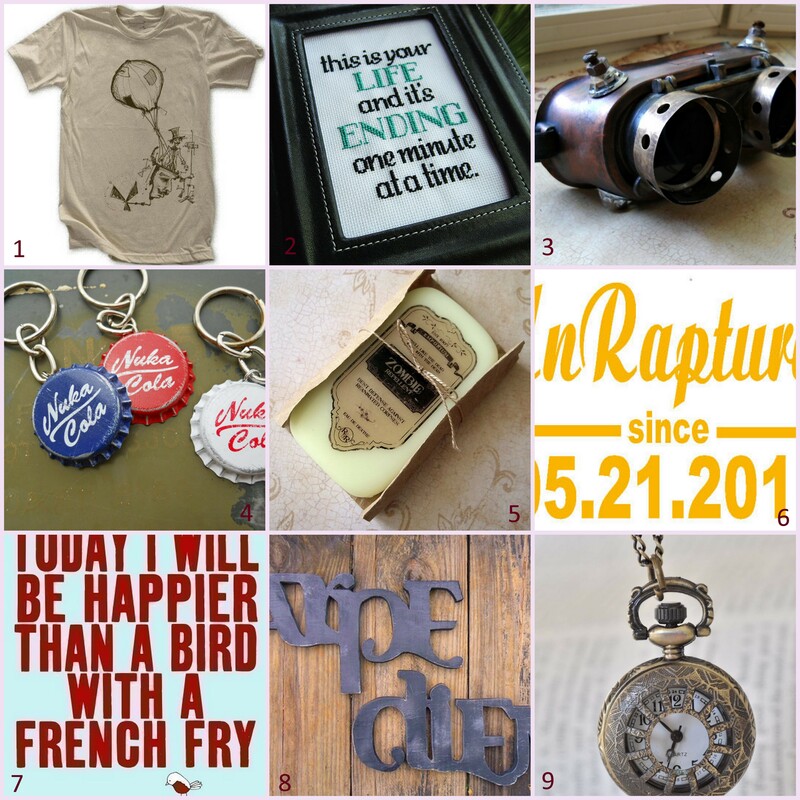 Here’s some Etsy Love in honor of being raptured…or not.